Artwork for print must be a resolution of at least 300 pixels per inch. All paper print items require a bleed of 1/8" (approx 3mm) unless noted. Always leave a safety margin of 1/8" from the edge of the paper to important text or visuals - otherwise there is a risk of it getting cut off. It doesn't really matter if you supply RGB or CMYK files for short-run jobs of under 500... HOWEVER it is not possible to print all RGB colours on a CMYK printer. Use the Photoshop Gamut warning and proofing features to anticipate colour changes. Our J-Cards are printed full-bleed, then cut, scored and folded. A J-card is shaped like a J with a front, spine, and back flap. Some people have been calling this a "3 panel J-Card". We use the terms J plus X panels. A JP0 is a J-card. JP1 is a J-card plus one additional panel. A JP5 is a J-card with five additional panels. Our J-Cards are printed full bleed, then creased and folded so the spine sits flat in the case. This means your want your artwork to extend to the edge of the trimmed page, so you must include a bleed in your artwork extending past the trim lines. If you don't include a bleed, two of the four edges will have an amateur-looking white margin after cutting. Also, if you put important words or art too close to the trim line, it may get cut off, so you should use a safety margin of 1/8" or 3mm. 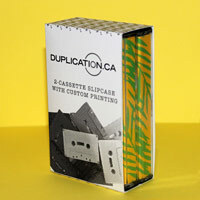 Cassette orders should include text that reads 'Made in Canada' or 'Manufactured in Canada' on the J-card artwork in order to safely cross the border. The country of origin should be declared on the artwork otherwise you run the risk of the package being held at the border or returned to the manufacturer. To avoid delays or art modification fees, include bleed. 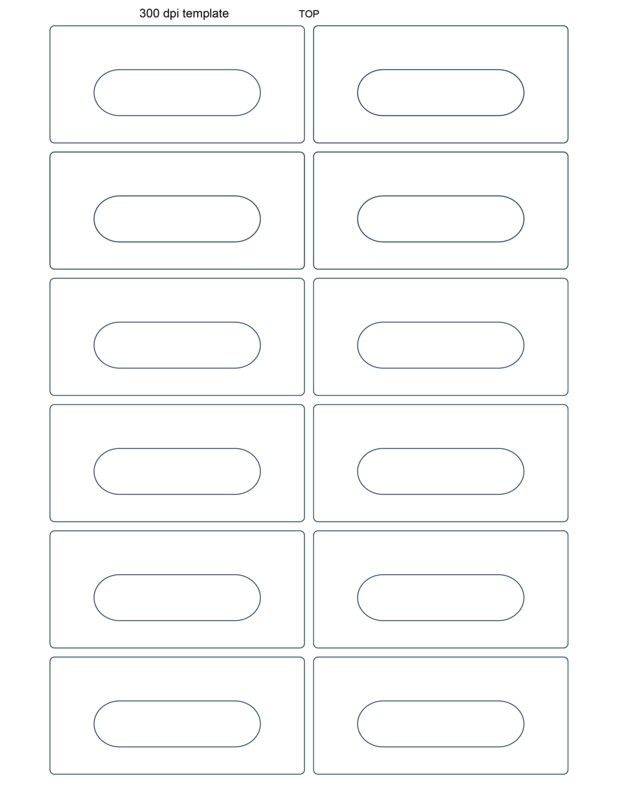 Audio Cassette J-Card with 1 extra panel aka "4 panel"
Audio Cassette J-Card with 2 extra panels aka "5 panel"
Audio Cassette J-Card with 3 extra panels aka "6 panel"
Audio Cassette J-Card with 4 extra panels aka "7 panel"
Audio Cassette J-Card with 5 extra panels aka "8 panel"
J-CARD for POLY CASE These need to be a little shorter with a front cover of 4" x 2.5" instead of 4" x 2.56"
J-Card Posters Available by special request. To make your own simply double the height of the template. A U-card is shaped like a U. 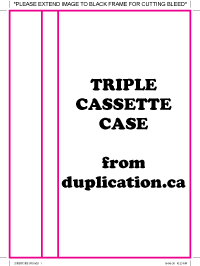 The back panel covers the entire back of the cassette case. 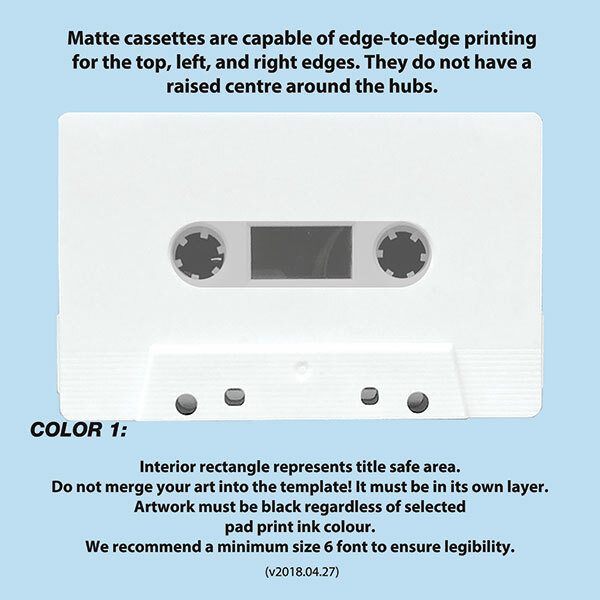 You must use cassette boxes which have no hub lock posts, otherwise the U-Cards need die-cutting or drilling to make a hole that fits over the posts. This is the preferred version, however it can be loose with some casettes. Use with old stock flats and current chipboard flats. 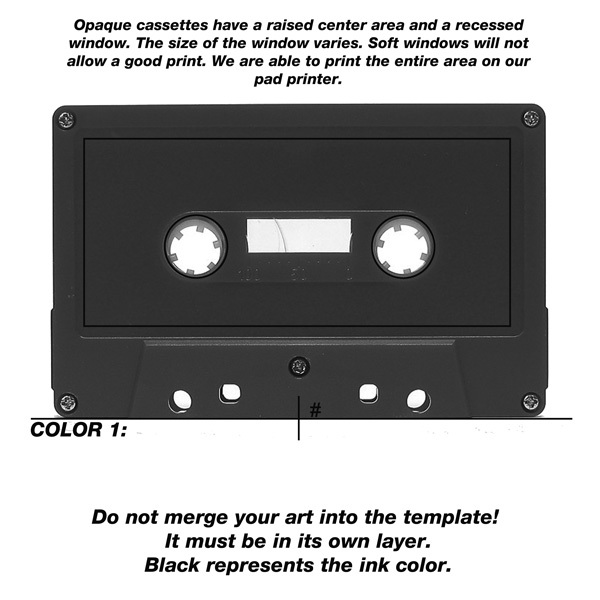 Obi strips are cardstock wrappers to wrap around the cassette case. Horizontal Obi Strip to wrap around the cassette case. 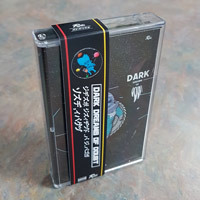 Vertical Obi Strip to wrap around the cassette case. Our pad printing offers high resolution printing with opaque inks, allowing you a lot of creative flexibility. We can do reverse fills or fine details (but not really both at the same time). We can also do halftones. Look around on our gallery and blogs for examples. 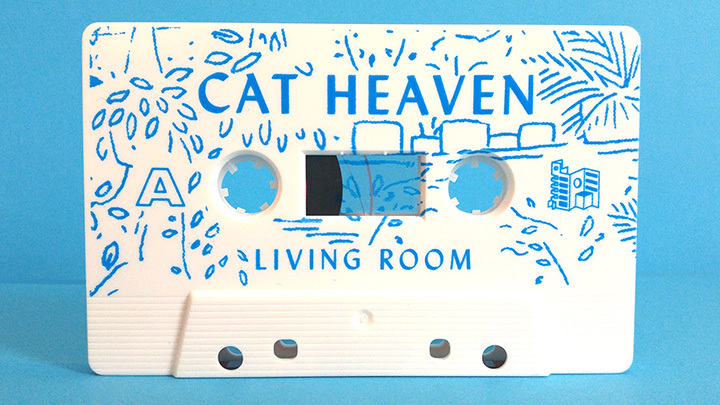 Some of the jobs we do become collector's items partly due to the artistic on-cassette printing. Our new pad printer allows us to do 2 colour printing - send us your art for a quote on 2 colour printing. THESE TEMPLATES ARE 1000 PIXELS PER INCH. THEY WILL BE CONVERTED TO MONOCHROME BITMAP FORMAT. YOU CAN ALSO SUPPLY VECTOR PDF OR ILLUSTRATOR FILES. ALL ARTWORK AND TEXT MUST BE AT LEAST 6 PIXELS BY 6 PIXELS THICK TO ENSURE PRINT WILL APPEAR. EMPTY SPACE BETWEEN TEXT/ARTWORK MUST BE AT LEAST 5 PIXELS BY 5 PIXELS THICK TO ENSURE INK WILL NOT RUN AND FILL UP EMPTY SPACE. 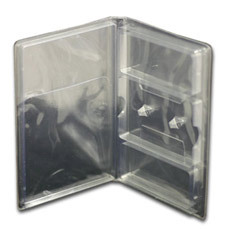 Note that the slipsheet usually sits a bit low leaving a clear gap at the top. The artwork must be black regardless of chosen ink colour. All artwork and text must be at least 6 pixels by 6 pixels thick in order to ensure visibility. The empty space or knockout between the artwork/text must be at least 6 pixels by 6 pixels thick to ensure the ink will not run and fill up the gaps. 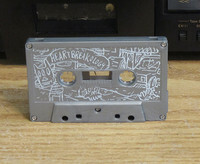 These cassettes do not have a raised centre or edges, allowing for edge-to-edge artwork without disruption. Submit your 1-up artwork sized exactly 1088 x 525 pixels which is including the bleed area and please do not embed the template into your artwork. 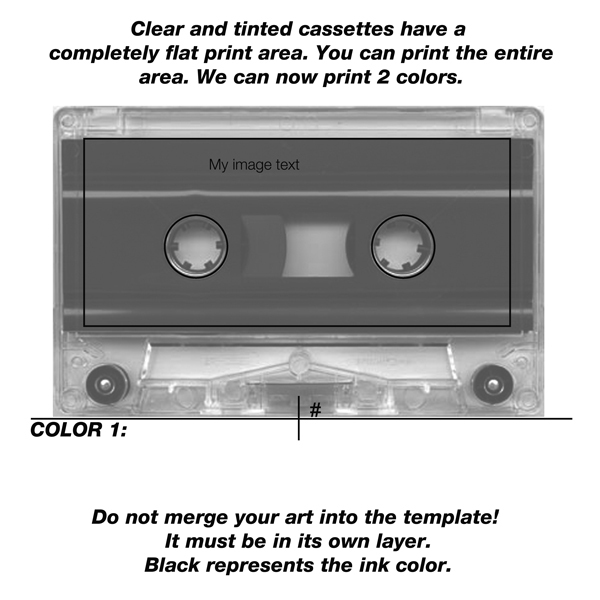 Cassette paper label with square bottom corners, but no bleed area on top and bottom. Since the labels are touching, art from the label below will probably creep onto the label above, or vice versa. You should not use photo or art backgrounds with these labels, or only use solid color backgrounds. Submit your 1-up artwork sized exactly 1088 x 497 pixels which is including the bleed area on left and right sides, and please do not embed the template into your artwork (unless you want it to print). Submit your 1-up artwork sized exactly 1089 x 522 pixels which is including the bleed area and please do not embed the template into your artwork.